Mr Amaju Pinnick, Chairman , Delta Football Association, has been elected as the new President of the Nigeria Football Association. The News Agency of Nigeria (NAN) reports that Pinnick scored a total of 32 votes, after second round of voting to emerge as President in the election, held at Warri, Delta on Tuesday. 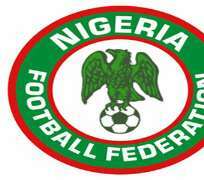 Mr Sampson Ebomhe, chairman of the NFA election committee, who announced the result, said that, Lobi Stars chairman, Dominic Iorfa, came second with eight votes while Mr Taiwo Ogunjobi, former Secretary-General of the Association, came third with four votes. Mr Seyi Akinwumi from Lagos State polled 30 votes to become the First Vice Chairman of the Association. Mr Adamu Shehu came second with eight votes, Emeka Inyama had four votes to place third while Suleiman Muazu came fourth with two votes. Mr Musa Ibrahim was returned unopposed as chairman of chairmen of all state football assosciations.